Reading Rainbow episodes teach students that reading can open up a whole new world. 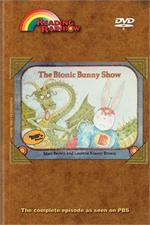 These Reading Rainbow DVDs offered here, like the Bionic Bunny Show, will weave nicely into your language arts curriculum, helping students embrace a love of reading and they can help them see how every time you pick up a good book your imagination brings the story and characters to life. Plus, educational DVDs are another way to reinforce instruction and help solidify your lessons. You can buy yours here and access the accompanying teacher’s guide. 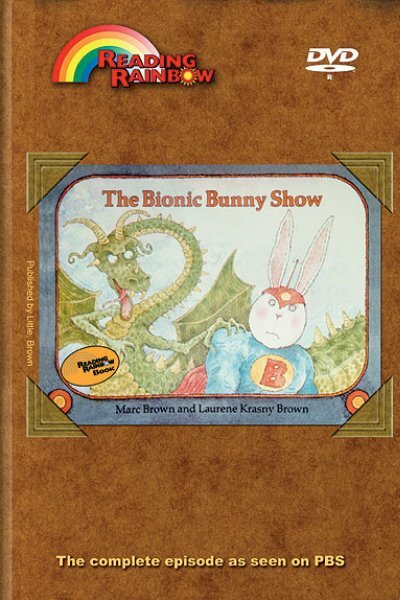 In Bionic Bunny Show, we meet Wilbur, an ordinary rabbit who goes to work each morning and transforms into a TV superhero. In the video, students will get to see a taping of Star Trek: The Next Generation to learn more about how television shows are made from a behind-the-scenes perspective. LeVar explains more about editing and other post production activities. Behind the Scenes at Star Trek - LeVar takes viewers to the set of Star Trek: The Next Generation where LeVar plays Lt. Geordi LeForge. Special Effects for Star Trek - LeVar visits with the post-production team to learn about creating the special effects used on Star Trek. Click here for Theme Lesson Plan -- "How's That Made?"